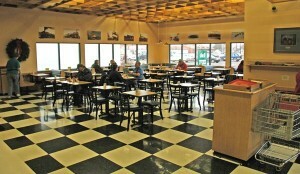 Stop by any time of day for a great meal in our deli-restaurant. Get a great made to order breakfast and coffee for a great price. For Lunch and Dinner, Chester Fried Chicken is always a delicious choice. 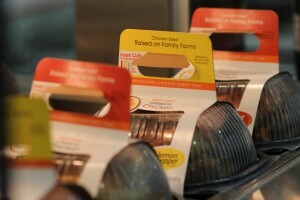 We also feature daily meal specials, a wide variety sides and soup. 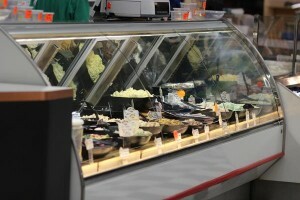 In our cold Deli part of the department pick from a wide variety of deli-made salads. Try our famous potato salad. We handle a great line of meats and cheeses including Kretchmar Meats. © 2019 Schmitz´s Economart | All Rights Reserved | Website by CCS, Inc.